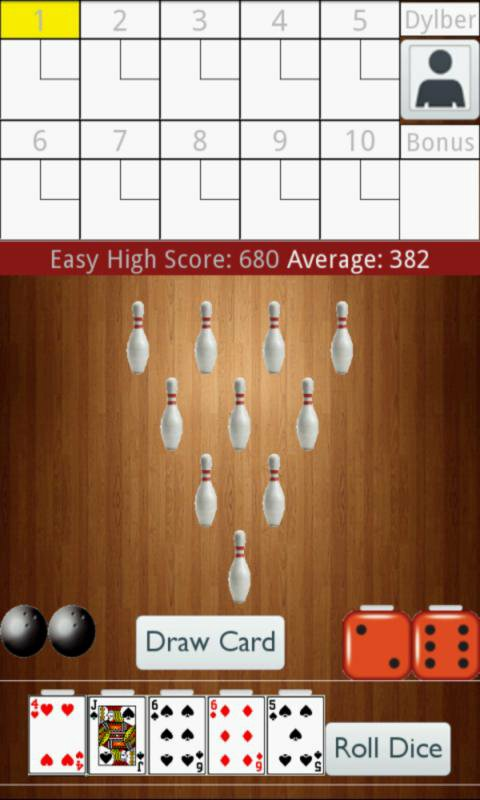 Play Bowling using 2 dice. Now play the classic board game "Ten Pins" anywhere! Play Bowling using 2 dice. Now play the classic board game "Ten Pins" on your mobile device. roll dice up to 3 times and hold any dice on each throw to knock down the most pins. Score 3 consecutive strikes to get a "Turkey"! How many consecutive strikes can you score? Choose to play "classic" or "Poker" Mode. bonus multiplier. Can you build a Royal Flush? Earn XP points with every achievement.